By far our most popular type of hearing aid is the incredibly discreet invisible hearing aids that a virtually undetectable to the human eye. Sitting deep in the ear canal, an invisible hearing aid is invulnerable to environmental interference and can be worn for extended periods of time. We have the best range of invisible hearing aids in Staffordshire from brands such as Lyric, Widex, Siemens, Starkey and Resound to name just a few. 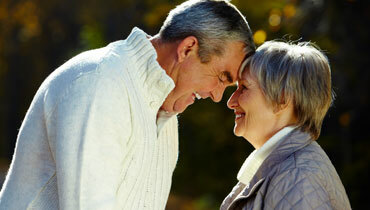 We also offer our hearing aids at fantastic prices, with up to 50% off compared to our national competitors. We stock all manner of invisible hearing aids in our centres across Staffordshire. Dove also offers a completely free hearing test so we can diagnose your hearing problem and determine which is the right hearing aid for you. Using the latest in diagnostic technology, we will quickly get to the bottom of your problem and guide you through all the available options. Invisible hearing aids are custom built for your own ear for maximum comfort and performance. You will be amazed at the power of such a small device and you will not find better value invisible hearing aids in Staffordshire. Here at Dove, we have over 20 years of experience with invisible hearing aids in Staffordshire and we always strive to offer our customers the very best deals. We are also so confident that you will love our hearing aids that we offer a full money back guarantee if you are not totally satisfied with it. If you want to know more you can pop into any of our hearing centres based in Lichfield, Hanley and Burton. Alternatively, you can get in touch with one of our invisible hearing aid experts at any time here.